San Diego, CA is a city by the sea and as such is full of sun, sand and wistful maritime romance. Enjoy the warmth of the sand between your toes as you spend time on the beaches with your love or visit a lighthouse or museum. San Diego has it all. Feel the romantic atmosphere the city has to offer while riding the trolley at night and let yourself fall in love. 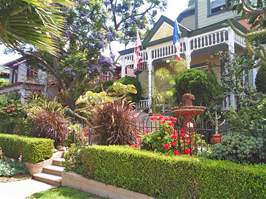 Relax at a romantic, restored Victorian bed and breakfast that is centrally located in San Diego. The Keating House has been lovingly restored and still puts fourth a romantic ambiance that can transport a couple to a time of romantic elegance. The house also offers modern day amenities along with its graceful and charming atmosphere. It is also located near many of San Diegos attractions such as Balboa Park, Zoo, Gaslamp Quarter, Horton Plaza, Sea Port Village, and the Convention Center. Balboa Park, located in San Diego, CA, is the nations largest urban cultural park and is well worth taking your special someone to go see. 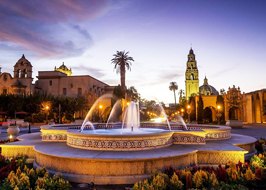 “Balboa Park is home to more than 16 museums, multiple performing arts venues, lovely gardens, trails, and many other creative and recreational attractions, including the San Diego Zoo.” With gardens to stroll, museums to visit and even the zoo, this park is perfect to bring your sweetheart to during your romantic getaway. San Diego is a large city and there is a lot to see. It has great beaches as well as culture and art. 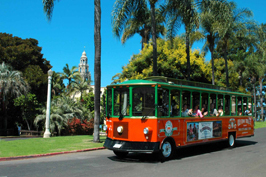 One of the best and most romantic ways to see the city is to take a trolley tour. “For a picturesque evening you won’t forget”, take a nighttime trolley tour and see the city as she shines just for you. A trolley tour to the beach is also highly recommended. The arts are alive and well in San Diego, CA. It is home to an Opera, a Symphony, many art and science museums, wineries, a zoo and of course great theatres. There is always something to do to make great memories with your love on your romantic getaway. 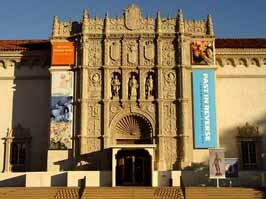 Some of the museums of note are the San Diego Museum of Man and the San Diego Museum of Art. Beyond many fine places to take a loved one for romance, San Diego is also home to a drive-in theatre. Take your love to a movie in a classic drive-in setting and you are sure to make some great memories. 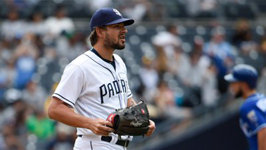 San Diego is home to the major league baseball team the San Diego Padres. They are also home to a handful of minor league and college teams like the San Diego Gulls and the San Diego State Aztecs. With so many teams to watch you are sure to be able to catch a great game to watch with your love.